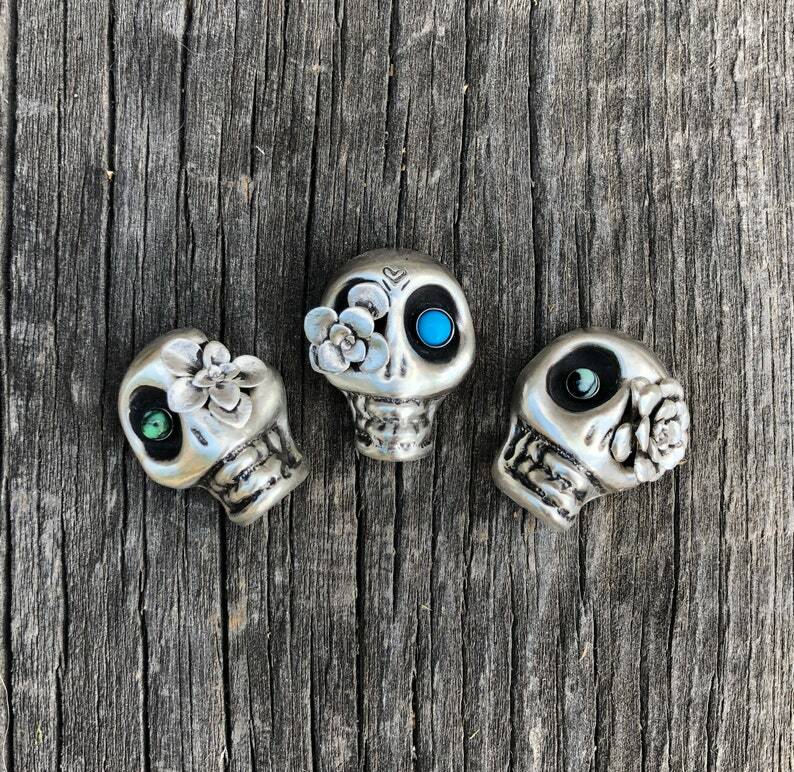 Thick and heavy sterling silver Sugar Skull Rings (or Pendant) - made to your size. Make sure to include ring size at checkout or send me a convo. A & C feature New Lander “eye” & sterling silver succulent flower casting. B features a beautiful "eye" of Sleeping Beauty Turquoise and sterling succulent casting. Leave a comment at checkout to indicate which ring band style you’d prefer.